This wonderful webpage is by Alisa Fleming, author of Go Dairy Free: The Guide and Cookbook for Milk Allergies, Lactose Intolerance, and Casein-Free Living. She has links to a good selection of websites where you can buy treats (mostly chocolates). 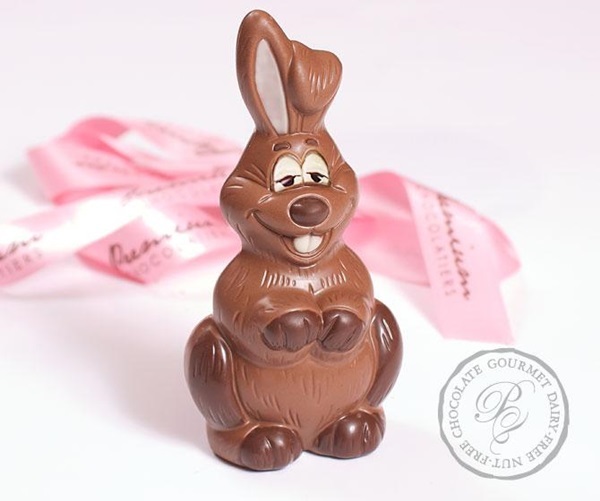 Her page is geared towards Easter, but the links would be useful for any chocolate search. These sites have dairy-free, gluten-free, vegan, soy-free, and multiple food allergy options. Alisa's detailed site descriptions include this information.